TORONTO, ON – PicoBrew, the Seattle-based company behind the popular Zymatic home & pilot brewing system, has announced the opening of a Canadian sales office in Toronto. 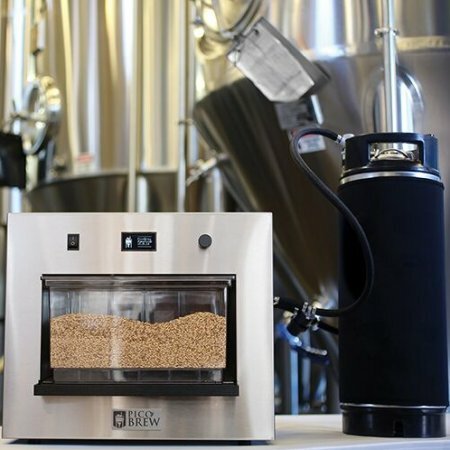 Dubbed “the world’s first all-grain, fully-automatic, beer brewing appliance,” the Zymatic is a counter-top unit that brews beer directly to a 2.5 gallon keg, based on both pre-packaged and custom recipes. The Toronto office – headed by George Dyke, a veteran member of the PicoBrew team – has a demo unit available for home and commercial brewers to evaluate. The new arm of the company will also be partnering with Canadian breweries to provide recipes for their new consumer product, Pico, which will be shipping in May, and will allow consumers with little or no brewing experience to brew 5 litre batches of craft beer at home using pre-packaged “PicoPaks”. For more details, see the PicoBrew website.